I have made some inchies, but wonder how to store/collect them. 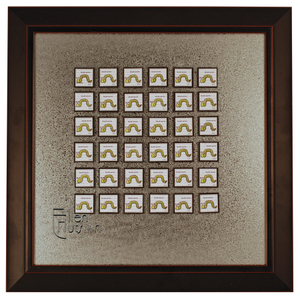 Would a stamp collector's album be right. If I were to hostess an inchie swap, how many should be in the swap and how many inchies should be sent to each participant? hey i heard about inchies from a friend and i was hoping that you could tell me some more about them so just email me at tomboy4evrzjp@yahoo.com and tell me. im a fellow artist and im 11. I've never heard of inchies just discovered the term on another blog today, I hope to try some I create ACEO that i sell, but do people purchase inchies? Awesome post! I'm tempted, so tempted! wow - I always liked small things - details on cards, in scrapbooking and minibooks ( i mean really mini - like a slideframebook) it is just delightful what you have come up with! Another great reveal is on the way as I see the teasers above. I just love our stamps and having access to smaller ones will definitely be perfect for the 3x3 cards as well as compliments to stamps whose words are bigger..Thanks for being so innovative, looking forward to the new release. Thanks for the instructions Ellen. Looking forward to your newsletter. I am soooo going to jump on this little bandwagon. ATC's tend to intimidate me as they're TOO BIG! LOL. Not! Inchies I can really get behind. I have lots of tiny stamps, too. Woo hoo! 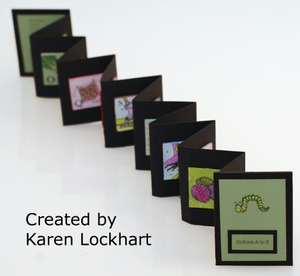 Oh my gosh, Karen's accordion book is adorable! 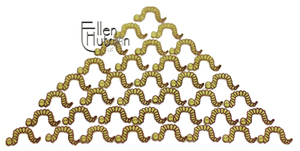 I love all of those bookworms too, and I'm thinking they'll be used for bookmarks! Can't wait to see more!! I just realized this is a new Baby Bee, too -- how sweet! Wow, that is great and priceless information. 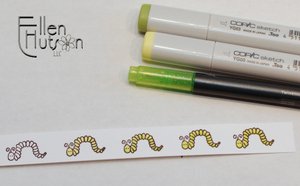 Inchies are so cute, I hope my not so nimble fingers can do them, LOL. I love the idea of the newsletter. TFS. Excited about the newsletter! Can't wait to start getting it. 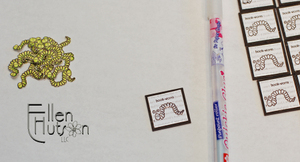 Must try making the background definition paper. Cool idea! 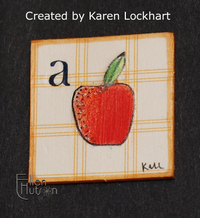 and A is also for awesome--love the inchies! Love your sweet inchies! Thanks for the details about them. I was wondering who started the craze *wink* It's nice to give credit where credit is due. I look forward to the newsletter and all the new surprises you have in store for us Ellen. Thank you for all your hard work. You know we adore you! I have lots of inchie ideas on my blog. Check it out. www.stampqnart.blogspot.com You may have to scroll though several months. I've been making them for about a year now. aaack! You cut them all out!?!? Oh, but it was SO worth it! The bookworm inchies are A-dorable! You must be making something for the girls... bookmarks? I've been noticing the inchie craze and kept passing it by...but I have a feeling that you are going to inspire me with some great new ideas and twists on old techniques. I'm eagerly awaiting more posts on this topic. What fun! I can't wait to see what else you have in store for us! !